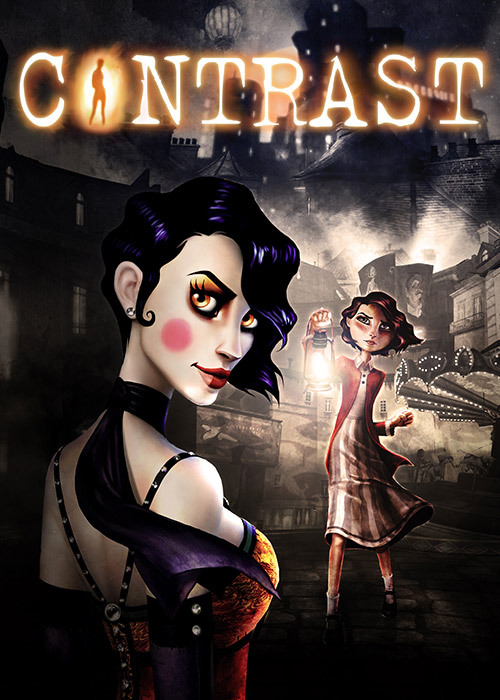 CONTRAST, the platform/puzzler developed by Compulsion Games for PC, the PlayStation®Store and Xbox LIVE® Arcade, is set to emerge from the shadows on 15 November 2013. To celebrate, four new screenshots have been released of Dawn and Didi interacting with the stunning, 1920s film noir-inspired world. In CONTRAST, you take on the role of Dawn, the imaginary friend of Didi, an independent, adventure-loving nine year-old girl hoping to reunite her parents. As you spend time with Didi, you will cast light on a shadowy story, exploring an adult world as seen through the eyes of this little girl. Play as Dawn and manipulate light sources to distort, enlarge or stretch the 2D shadowscape, and combine that with your shadow shifting powers to help solve the many puzzles surrounding Didi\'s troubled family. Delivering a captivating ambiance of the brilliance of film noir mixed with the tease of burlesque and infusing an original, sultry jazz soundtrack, CONTRAST enthrals with every plot twist. CONTRAST is released 15 November 2013 on PC and Xbox LIVE® Arcade. The game is released on PS3\'s PSN on November 19 in U.S. and November 20 in Europe. Contrast is also released on PS4 on November 15 in U.S., and November 29 in Europe. Contrast: from out of the shadows and into the light with a launch trailer! Contrast takes you backstage with a new video!